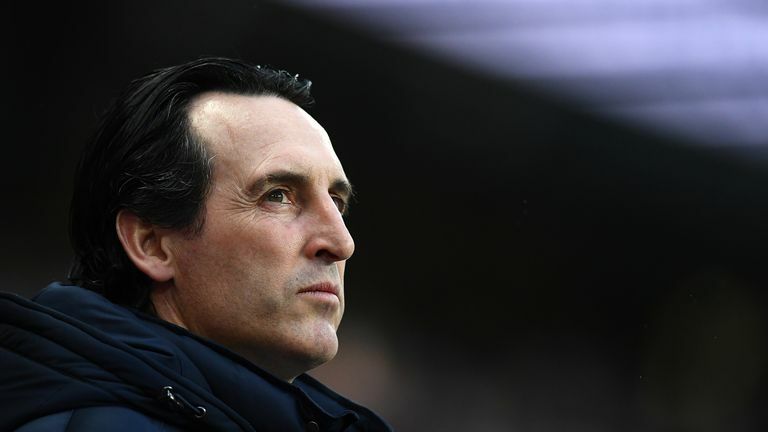 Arsenal manager Unai Emery admits that winning the Europa League to qualify for the Champions League is the target. Mesut Ozil and Aaron Ramsey did not travel with the Arsenal squad to Belarus for the Europa League round-of-32 game with BATE Borisov on Thursday. Ozil, who missed Saturday's 2-1 win at Huddersfield through illness, and Ramsey, who missed training on Wednesday with a knee injury, remained behind in London as the rest of the Arsenal squad flew out to Belarus. Gunners striker Pierre-Emerick Aubameyang, who also missed Saturday's 2-1 win over Huddersfield with illness, travelled along with Granit Xhaka who returns after a groin injury. Arsenal head coach Unai Emery was asked about the continued absence of the club's highest-earner Ozil at a press conference on Wednesday. The German midfielder has found himself on the periphery of the Arsenal side under Emery, but the Arsenal boss explained the decision to leave Ozil behind was not a tactical one. "Mesut is the same. Aubameyang, after he was sick, trained on Monday, yesterday and today, and I think he's OK for the match." While temperatures in Belarus hover around zero, Emery insists his side will have no excuses for not getting a positive result.